Well hey there, friends! I hope you all had the best Thanksgiving yesterday! I'm still recovering from that food coma... So what are you up today today? Shopping? Decorating for Christmas? I hope to get started on my Christmas decor today. Since it's the last Friday of the month, we're ready to see what you've been working on. 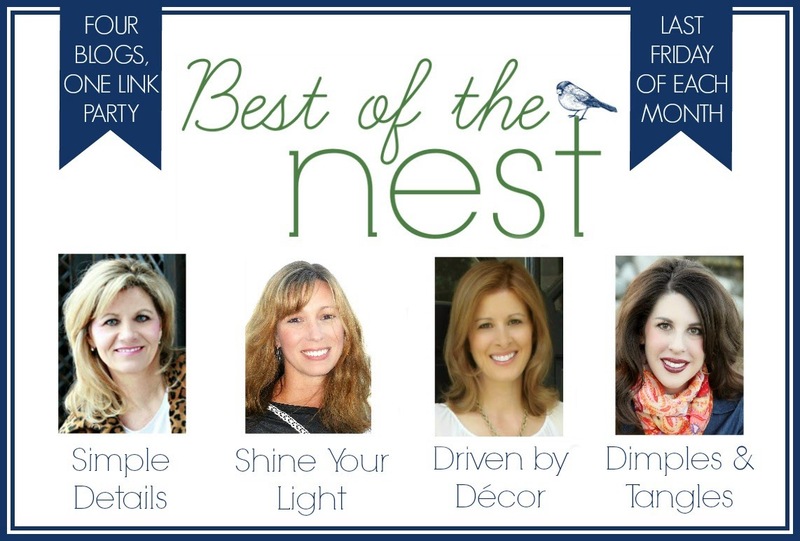 What was the best from your nest from the past few weeks? 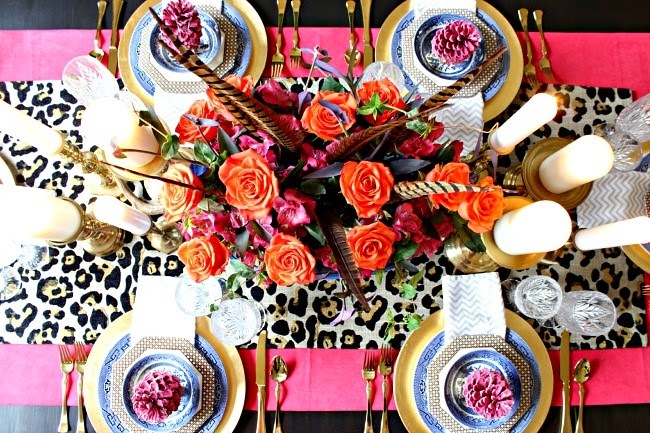 My favorite recent project was my Thanksgiving Tablescape. 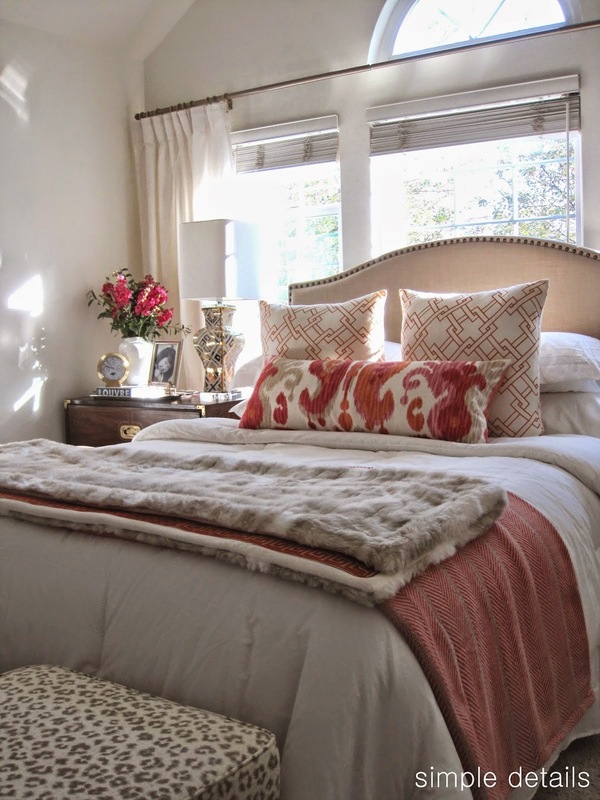 Pam completed her friend's Master Bedroom for the One Room Challenge. She furnished most of the room with made over Craigslist finds. 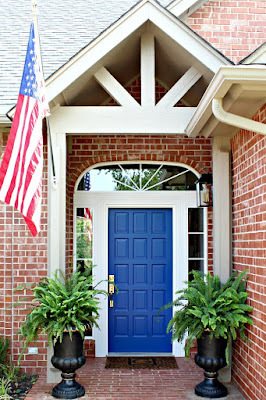 Pam is the queen of creating a high end look with a budget, great fabrics, and some paint! Kris also participated in the One Room Challenge and successfully created an updated, stylish bathroom without a big budget or a lot of demo. 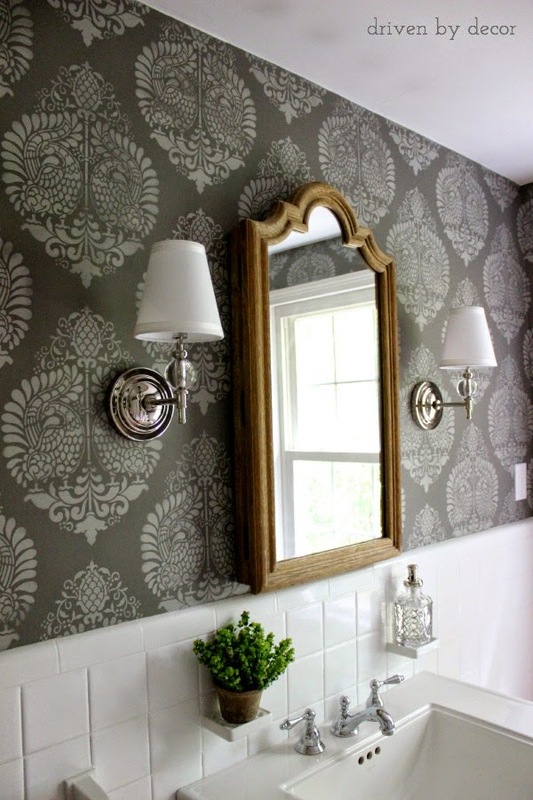 With some paint, great lighting, and new accessories she upped the glam factor in her powder bath by about 1000%! Lisa repurposed an Ikea desk into a vanity for her master bedroom that can double as a nightstand. 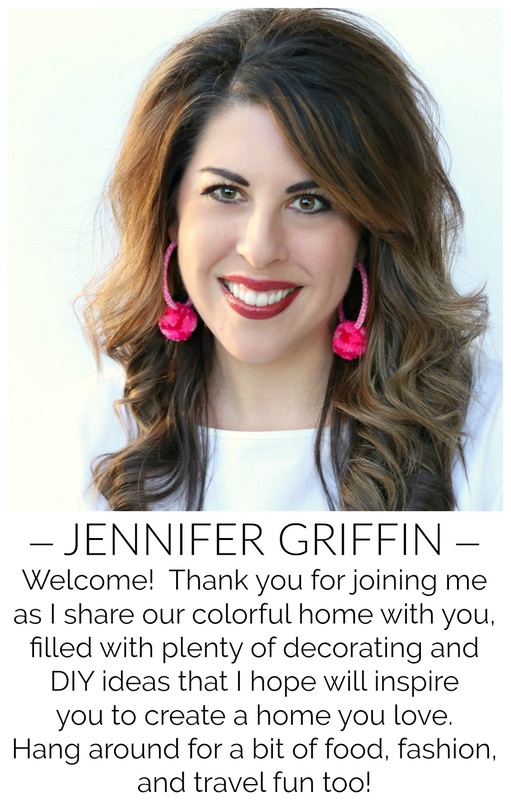 I adore the color of her walls, and you'll have to check out her post to see how she made her lamp cord disappear! Now, we want to see what you've been up to! Link up your best project from November below. *Please make sure that your project is from THIS month (NOVEMBER). *Only ONE link per person! Only those with a link will be considered for a feature! You may include a text link or use the button below. PRETTY PLEASE...EVERY MONTH THERE ARE LINKS WE WOULD LIKE TO FEATURE, BUT THERE IS NO LINK BACK. SORRY! Isn't it strange how sometimes the simplest projects are the most popular? Something that everyone can do is always a winner! Jennifer, thank you for the party - my first time here, but hopefully just one of many to come. Happy Holidays!